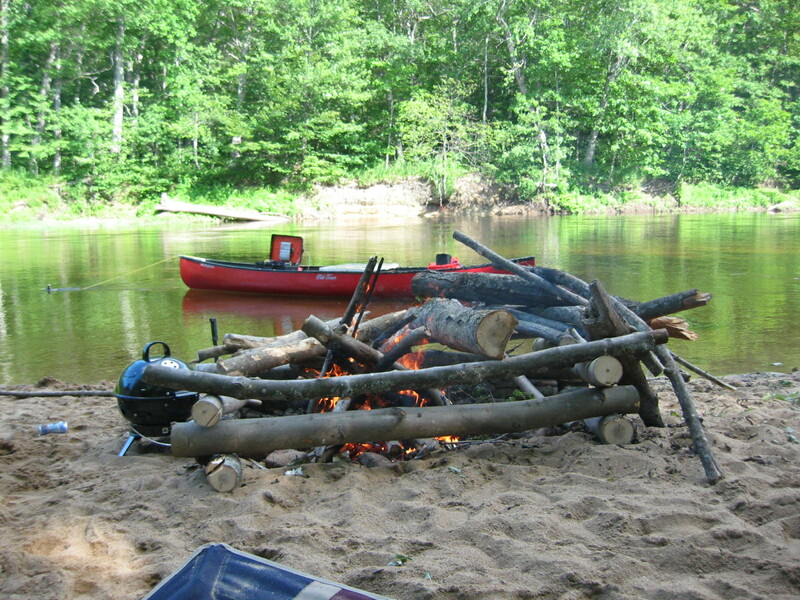 Mooring a canoe offshore is a great way to get the sound in front of you when river camping. 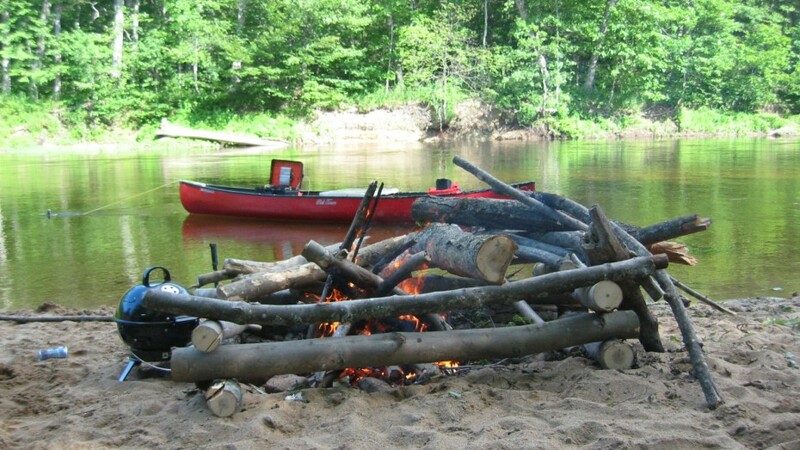 In the evenings we would moore the canoe on the far side of the river. The sound from even a single speaker would fill the entire length of the beach with crystal clear, full range sound. The sound waves across the glassy water make the music sound quite amazing. I now have a pair of new outdoor speakers, and when I can afford the weight, running in stereo is that much better.